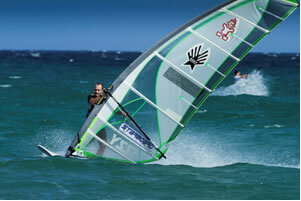 Maui, Hawaii- Ezzy Sails is proud to announce multi-time world champion Kevin Pritchard will be riding for Ezzy Sails in 2011 and beyond. The two have come together to take Ezzy Sails to the next level. Ezzy Sails is a company devoted to making the best sails in the world. Sailmaking since 1983, David has been working nonstop on delivering the world the best products, with insurmountable quality. Never accepting anything less than perfection, Ezzy Sails continues to search for the best materials, most efficient designs, and most durable products on the market. A full interview with Kevin can be found at this link!